The Huawei Honor 6 makes a great first impression with a solid spec sheet, packed with all the right ingredients. While the exterior is hardly impressive, a well-performing midrange offering can get away with that. 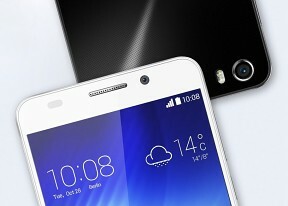 To be fair, the Honor 6 looks simple but by no means cheap. The smartphone mostly delivers on the initial promise. Huawei markets it as a 2-day device, and that's actually the conservative forecast. Our test revealed that with moderate use the 3-day mark is not far off. Especially noteworthy is the excellent 13-hour screen-on time when surfing the web or watching videos. Raw CPU performance is on par with the current upper-midrange and above, which says a lot about Huawei's progress since the Kirin 910T in the Ascend P7. The graphics department however, is not in the same league and hinders overall performance. If intense 3D gaming on a 5-incher is not your style though, the Honor 6 won't leave you waiting. FullHD resolution across a 5-inch screen is always going to be sharp enough, and viewing angles on the Honor 6's panel are very good. Photography is well-covered, and the 13MP camera does its job proficiently, even if processing could use a tune-up. As you can see, the Honor 6 doesn't fail in any respect, even though it truly excels in battery life only. Summarized below is our list of key findings. Design may lack character, but materials and build quality leave a positive impression. When sifting through the available competition, we'll be looking at FullHD five-inchers for an optimum combination of sharpness and screen real estate. A performance to match the Honor 6's chipset is also expected and opponents should come with respectable photography credentials. Matching the battery may prove a difficult task, however. All this must come at a price of around and below the €300/$340 mark. 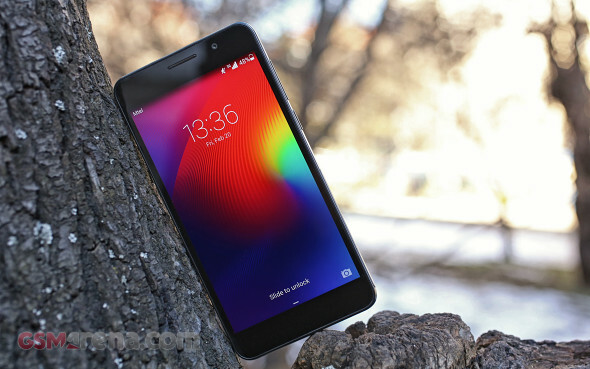 On top of the rival list we find the Lenovo Vibe X2. In contrast to the Honor 6, the Vibe X2 will stand out from the crowd - whatever classy bunch you put it in - with a unique layered design. A Mediatek chipset with octa-core processor delivers largely the same results in benchmarks, but it runs the race with 1GB RAM less. No microSD slot on the Vibe X2 means the 32GB of storage is all you get, which the Honor 6 easily tops. The Lenovo handset is a tad lighter, sacrificing battery capacity, but the Honor 6 can outlast it by a whole day in certain usage patterns. 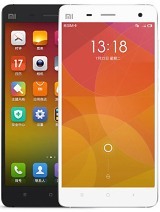 Another Chinese entry is the Xiaomi Mi4. It's a proper flagship, but if you're lucky to live in certain parts of the world it comes at the same price as the Honor 6. Its premium finish outs an extra 19g of weight on top of the Honor 6, but with better hand feel to account for it. The Xiaomi packs a brighter display coupled with superior graphics performance which may be enough to sway user in its direction. The identical endurance rating aside, the Honor will last a good two and a half hours longer in web browsing and a whopping 5 hours more in video playback on a single charge. But then the Mi4 can shoot 4K video with its main camera and offers an 8MP selfie unit with 1080p video capability. No microSD on the Xiaomi Mi4 either. If you happen to be a die-hard Huawei fan, you can always opt for the Ascend P7. It features premium build, and is pleasantly thin at only 6.5mm. An 8MP front facer with 1080p video is also in its favor. However, the Honor 6 outperforms it across the board, and with better battery backup, at that. 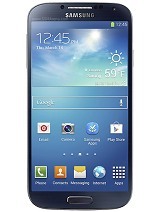 Depending on where you are in the world, the Samsung Galaxy S4 may be another viable option for the same amount of cash or slightly more. It's two generations old, but a flagship nonetheless, and has already gotten a Lollipop update. You'll do well to shop around and try to get the Black edition with Snapdragon 800. 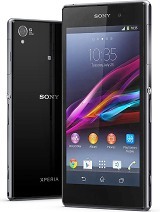 Another veteran flagship, the Sony Xperia Z1, retails at the same price, at least in Europe. It's roughly the same size but significantly heavier. The Xperia Z1 packs a brighter display with stellar contrast. The Honor 6 trumps this one too in terms of battery life, but the Z1 has been promised a Lollipop update, and with the Honor 6 the outlook is grim. The Huawei Honor 6 appeared an almost certain winner on paper, but in reality things aren't all that clear. A fine upper-midrange device, but not without its shortcomings. With older flagships coming down in price and against strong opposition from its homeland, the Honor 6 had better know its kung-fu.